CPC now offers Blick Art Materials! 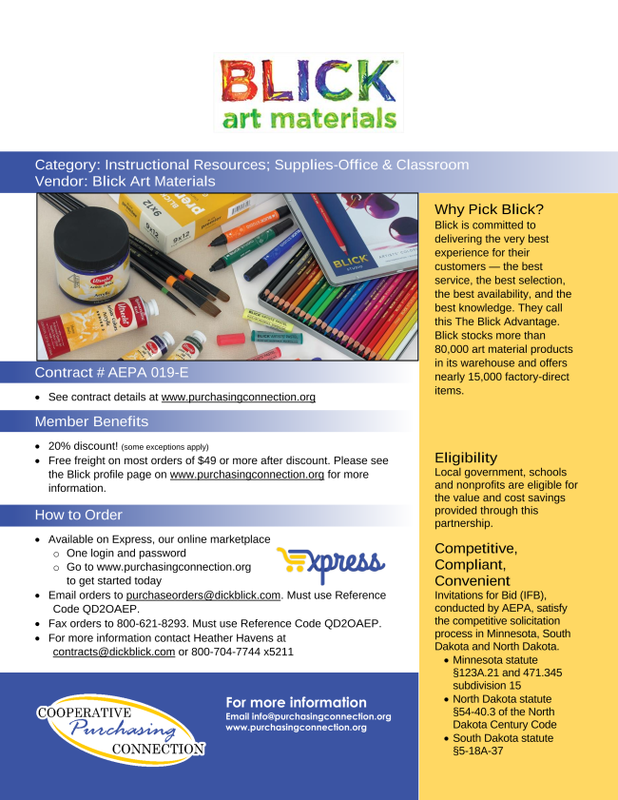 Blick stocks more than 80,000 art material products! Blick is on Express - and you can also order via phone or fax. Be sure to reference QD20AEP. Read more on the Blick Sales Sheet (shown below) or visit their vendor profile page .